This smart device enables high quality colour communication at 45 ppm. Integration with powerful Fiery-based RIPs makes it the ideal choice for busy offices with graphically intense needs. .
A large customisable touch screen with a tilt function provides a unique user experience. You can simplify tasks commonly performed through one-touch buttons to save time and effort. Mobile workers can easily print from or scan to their mobile devices¹. The iR-ADV C5250 delivers sharp text and clear images at true 1200x1200 dpi resolution, while the pQ toner produces balanced colours and great image quality. Corporate colour matching is easy to achieve with EFI's ColorWise tools, which are part of the feature set of the imagePASS-B2 and ColorPASS-GX400 controllers, so impressive brochures, stationery and direct mail are within easy reach. The choice of finishing options enables you to produce a variety of high-impact finished materials. Integration into networks and enterprise solutions, resource sharing with other devices and the ability to link to Cloud services such as Google Drive enable you to work and share documents flexibly. The embedded MEAP platform integrates tightly with a range of powerful software supporting and optimising business critical workflows. Device management tools allow you to configure, manage and upgrade your device, individually, or as part of a larger fleet, as well as to monitor, report and diagnose for proactive and efficient maintenance. . 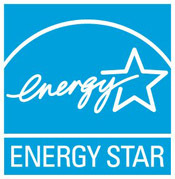 This ENERGY STAR® qualified device offers one of the lowest TEC² ratings in the industry, consumes as little as 1W in sleep mode and is built using bio and recycled plastics where possible.